A heavy bag also known as a punching bag is just not meant for throwing punches; it has lot of benefits that you might be unaware of. The key here is to give lot of variations in this workout rather than simply repeating the same thing again and again. So a heavy bag workout involves a heavy sand bag which is utilized for entire body workout and not just for boxing and punching. 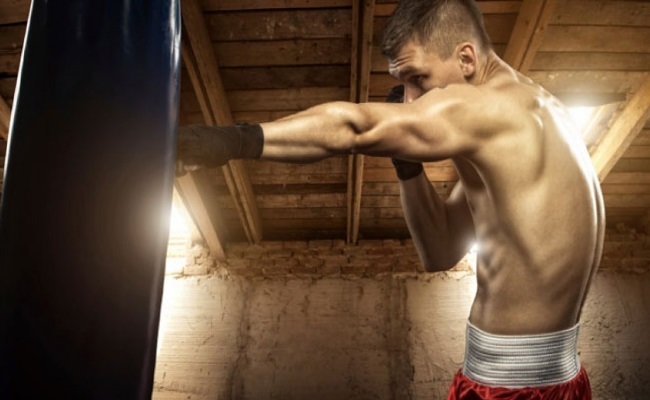 Some basic techniques to be kept in mind while doing the heavy bag workout are; always begin with a warm up, keep punching with different intensities so that you learn to control your power and movement. Next thing important is your speed, you must try to hit the bag as fast as you can; this helps you in finding your potential. While working out with the heavy bag, you are basically punching it and pushing it away from your body axis; however while punching the bag it gives out some resistance which ultimately trains your muscles. Thus heavy bag workout helps in training and building your muscle mass. 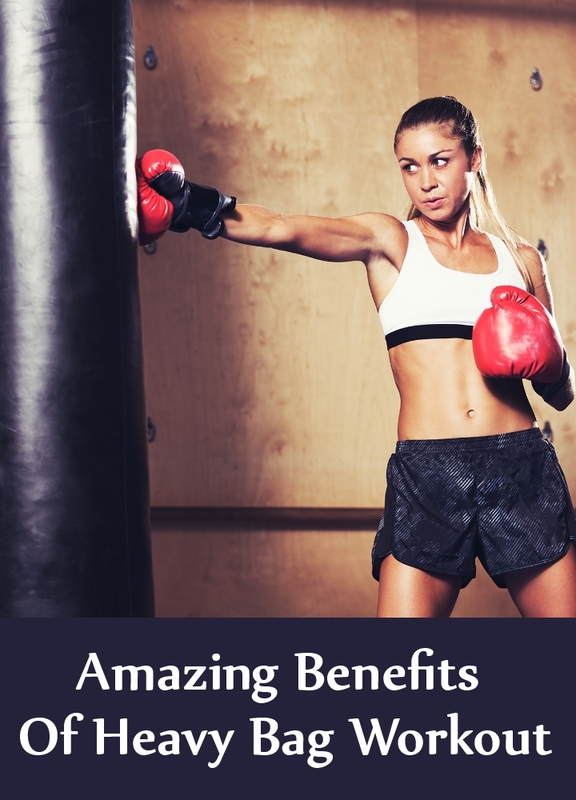 To get maximum benefit for your muscles you need to give variations and use different positions while punching so that maximum number of muscles is involved in the exercise. 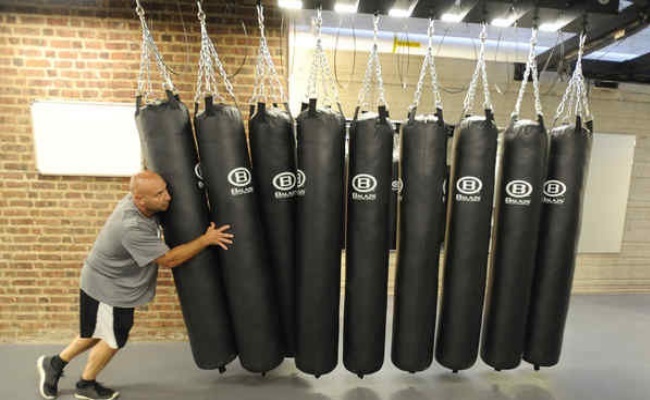 Along with helping you build your muscle mass and strength, heavy bag workout also focuses on the cardio training. So while performing an intense heavy bag punching workout your heart is beating fast and fast. This raises your heart rate and therefore the speed of circulation thereby making your heart strong which again is a type of muscle. 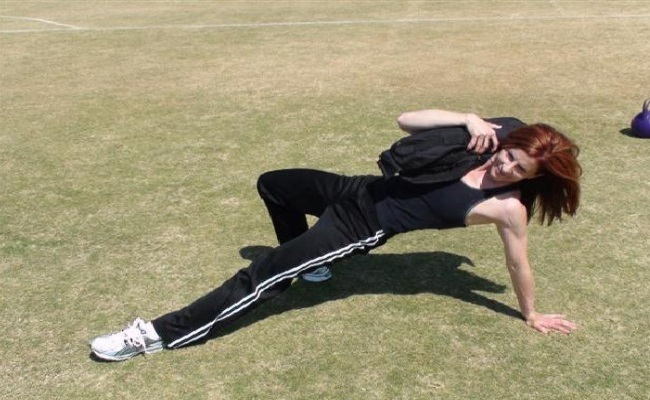 To get maximum benefit, try giving variations with your leg work and also make sure the workout is high intensity; indeed as intense as possible. While working out the heavy bag tends to come back in a sudden unexpected manner. You have to stay alert and cautious throughout. This improves the co-ordination between your sensory and motor system thus improving the overall sense of balance. Along with improvement in balance the heavy bag workout also acts on your reaction sense. It makes you more vigilant and makes your reaction time fast and brisk. We have seen the benefits of heavy bag workout on cardio-respiratory system and the skeletal muscles. 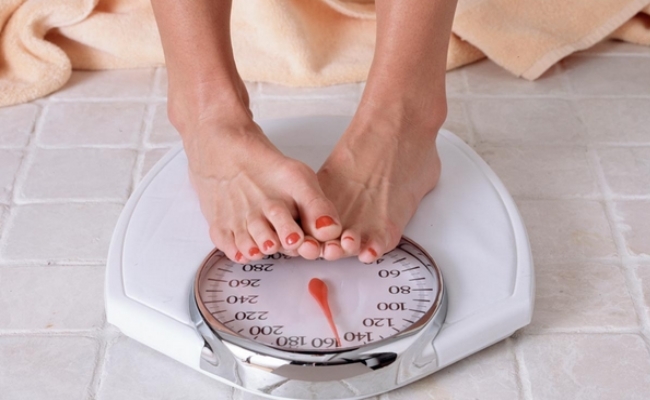 In addition it also speeds up the loss of fat and helps in weight loss. Along with reducing the body weight, heavy bag workout helps in toning your body. It improves the overall lean mass and reduces the visceral fat. These properties improve your health and protect it against developing number of health disorders like heart diseases and diabetes. Any type of aerobic exercise is known to release certain chemicals in our body that reduce stress. These chemicals are nothing but some neurotransmitters and hormones that help to reduce stress and also elevate your mood. It has been reported that any type of aerobic exercise you perform will help in keeping your mental health strong. Heavy bag workout benefits your entire body however maximum benefit is received by the upper half. You upper half becomes well toned and strong if you add heavy bag workout in your workout plan. Punching the bag with full force and energy gives you a surge of confidence. It also increases your body’s power and you feel that strength within you rising. So if you regularly perform these heavy bag workout exercises with high intensity and give it your best shot; your confidence level will rise very high. It also gives you the confidence to face your opponent and prepares you for any competition or tournament. We discussed that heavy bag workout helps to release some hormones (endorphins) and these are also known as feel good hormones. They help to elevate your mood and make you feel good, literally. This property along with your overall improved health and boosted confidence very efficiently eliminates stress. Heavy bag workout has a number of health benefits and this makes it a perfect element of twist and change for your daily workout. You must include it in your daily workout to stay energetic, motivated and healthy; plus you are doing something new and different so it also keeps you going.